International environmental activist Barry Castleman talks about the hazards of using asbestos, in any form including the so called safe 'white asbestos' in building materials. He makes a compelling argument for its elimination. Ban Asbestos Network of India (BANI) has come across a two page excerpts from its 17th Annual Report 2010-11 titled "Misconceptions About Asbestos" that is being distributed by Pune-based Sahyadri Industries, an asbestos manufacturing company. It misrepresents facts by saying that asbestos manufacture and use is harmless. The "Truth About Asbestos" is that it kills at every level of exposure through incurable diseases. There is no alternative to eliminating use of asbetsos. On 6th July 2011, the National Human Rights Commission (NHRC) issued notices to central government and state governments taking cognizance of a complaint alleging that about fifty thousand people die every year in the country due to Asbestos related cancer. The complainant has sought Commission's intervention for a ban on the use of Chrysotile Asbestos (White Asbestos), which is hazardous for the health of people and causes various incurable diseases. The white Asbestos is a fibrous material used for building roofs and walls and various in other forms. Citing contradictory position of the Government on the issue the complainant Toxics Watch Alliance has argued that though the mining of Asbestos has been technically banned by the government, but it allows its import and that too from the countries which do not prefer its domestic use. The NHRC has issued notice to Chief Secretary, Maharashtra besides the Secretaries of Ministries of Chemical Fertilizers, Environment and Forest, Health and Family Welfare, Industry and Commerce, Labour and Chief Secretaries of all the other States/Union Territories calling for status reports within four weeks on the issues raised in the complaint. Asbestos is a "perfect carcinogen" because it acts as both a promoter and initiator of cancer. Asbestos fibres are dangerous when inhaled and the dustiest processes are, in general, the most hazardous. 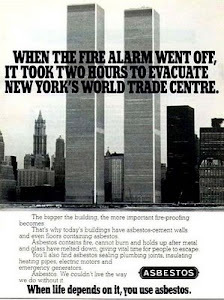 That asbestos is a toxic material has been known for decades. Exposure to asbestos has been linked to several diseases including asbestosis, lung cancer and mesothelioma. Asbestosis: Evidence presented in 1907 to a government enquiry by Dr. Montague Murray described the first diagnosed case of fatal, non-tubercular, diffuse pulmonary fibrosis in an asbestos worker: asbestosis. Asbestosis is an irreversible and progressive lung condition which results from the inhalation of asbestos fibres over an extended period. In asbestosis, lung tissue is scarred and thickened by the abrasive action of the asbestos fibres in the alveoli, the air sacks. The latency period for asbestosis is usually at least ten years and the higher the exposure, the greater the chances of developing the disease. Asbestosis tends to be linked to heavy occupational exposure although cases of asbestosis among those not occupationally exposed have been known. Lung Cancer: An article which appeared in The Lancet in 1934 presented evidence of a link between asbestos and lung cancer. Dr. Richard Doll's landmark paper: Mortality from Lung Cancer in Asbestos Workers was published in 1955; Doll's research showed that the incidence of lung cancer among men at an asbestos factory in Rochdale was ten times the national norm. Asbestos-related lung cancer can occur from occupational or environmental exposure: it is virtually incurable. The chances of recovery for those whose lung cancer is caused by asbestos are worse because the lungs may already damaged by the dust. One type of lung cancer asbestos causes, undifferentiated, small-cell type, is the one with the least hope of treatment. The latency period for lung cancer associated with asbestos exposure is usually between fifteen and thirty-five years. An article in the Journal of the American Medical Association estimated that an asbestos insulation worker who smokes had ninety two times the chance of dying from lung cancer as a non-smoking, non-asbestos worker. Mesothelioma: Mesothelioma is a formerly rare, but increasingly common cancer of the lung or the abdominal cavity; the only known cause of mesothelioma is exposure to asbestos. Malignant mesothelioma can be contracted from very low exposures to asbestos and accounts for the majority of victims who contract an asbestos-related disease through environmental exposure. The latency period for mesothelioma is generally between thirty to fifty years although British courts have accepted a latency period as short as ten years. On average, mesothelioma patients survive for eighteen months to two years following diagnosis although some poeple survive considerably longer. Currently, there is no known cure. A routine analysis of British statistics by Professor Julian Peto of the Institute of Cancer Research in 1995 uncovered a rapid acceleration in the number of British mesothelioma deaths which, he predicted, would continue to increase from 1,000 to 3,000 per year by the year 2024. According to him, the most worrying aspect is the discovery that the rate of mesothelioma deaths is rising in men aged 50 and younger and that most victims have only had secondary links with asbestos, often as construction workers, carpenters, plumbers or electricians. The inhalation of asbestos fibres can cause serious diseases of the lungs and other organs that may not appear until years after the exposure has occurred. For instance, asbestosis can cause a build-up of scar-like tissue in the lungs and result in loss of lung function that often progresses to disability and death. There are four main diseases caused by asbestos: mesothelioma (which is always fatal), lung cancer (almost always fatal), asbestosis (not always fatal, but it can be very debilitating) and diffuse pleural thickening (not fatal). According to the UK Health and Safety Executive, abestos-related conditions are responsible for about 4,000 deaths a year in UK. In the context of a proposed Asbestos cement sheet and accessories manufacturing unit of 1,80,000 Tonnes Per Annum capacity at Narsimharaopalem Village, Veerulupadu Tehsil, Krishna District, Andhra Pradesh by M/s Sahyadri Industries Limited, BANI had written to S V Prasad, Chief Secretary/Chairman, Andhra Pradesh Pollution Control Board, Government of Andhra Pradesh, drawing his attention towards the TOR for the proposed plant dated October 25, 2010 issued by Union Environment & Forests Ministry wherein 45 paragraph refers to “Detailed action plan for compliance of the directions of the Hon’ble Supreme Court of India regarding occupational health and safety measures in asbestos industries should be included” and how an order dated January 21, 2011, of Supreme Court’s bench of Chief Justice of India Justice S.H. Kapadia, Justice K.S. 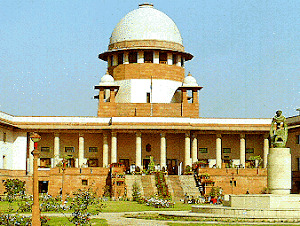 Panicker Radhakrishnan and Justice Swatanter Kumar has not been taken note of. In the light of the above, BANI, Human Rights Forum and Jana Vignana Vedika have demanded a blanket ban on asbestos production and usage. Let me congratulate you on your election. I am an environmental and occupational health researcher. I wish to draw your attention towards the victims of asbestos in India, Quebec, Canada and other countries. We, in India are grappling with the epidemic of chrysotile asbestos (white asbestos) -related disease and death that continue to increase. On 6th July, 2011, National Human Rights Commission (NHRC), India has issued notice to all the concerned ministries and state governments taking note of diseases caused by white asbestos imported from countries like Canada. There is a bitter protest struggle going on against asbestos plants in Bhojpur, Muzaffarpur and Vaishali in Bihar, India amidst police firing. 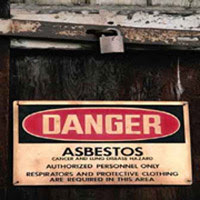 Similar is the situation in Andhra Pradesh, which is the capital asbestos manufacturers. They have least regard to human health of present and future generation because they are blinded by 'profit at any human cost' dictum. In India, mining of all forms of asbestos including white asbestos is banned but Canada continues to export white asbestos to India due to an incestous relationship between canadian asbestos producers and political parties of Canada and India. We are disturbed by the fact that white asbestos which Canada exports to us represents 100% of the global asbestos trade and it represents 95% of all the asbestos sold in the world over the past century. As you are aware chrysotile asbestos is a deadly carcinogen, which causes mesothelioma, lung cancer, other cancers and asbestosis, and safe use is not possible. 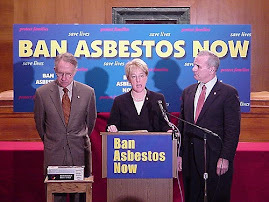 I submit that there is not a single reputable scientific or medical organisation that supports the position of the asbestos industry that chrysotile asbestos can be safely used and that exposure to high levels of chrysotile asbestos causes no harm to health. The Chrysotile Institute, Canada and Asbestos Information Centre, India work on behalf of the white asbestos industry have mastered the art of misinformation campaign where they promote the myth that asbestos can be safely used. 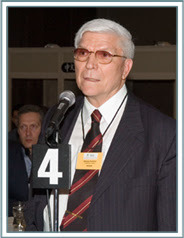 We have taken note of the National Public Health Hero Award given by the Canadian Public Health Association, specifically for exposing the deadly misinformation disseminated by the asbestos industry. I earnestly submit that asbestos should be treated as a health issue, not as a political issue and we are calling for your support on this crucial public health issue. We are glad to note that Ontario Conservative MP Ed Holder and Ontario Conservative MP Pat Davidson, who represent the constituency of Sarnia-Lambton, where so many Canadians have died from asbestos-related diseases have expressed their support. I sincerely hope that you would respect the clear scientific evidence about asbestos and to reject the naked lust for profit from selling asbestos to countries like India. 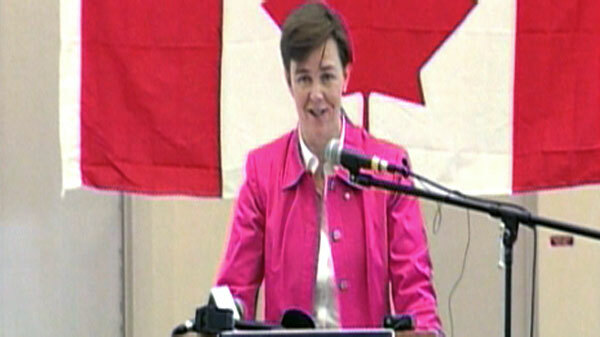 You would not expose Canadian children to asbestos harm. It is ethically indefensible to expose children in developing countries to asbestos harm, by placing Canadian asbestos in their homes and schools, all the while falsely assuring them that the asbestos will not harm them. It would be unbecoming of any medical professional to collude with the promotion of asbestos disease which endangers both the present and the future generation. I submit that it does not behove the stature of a civilized nation to use and promote white asbestos in India as an allegedly safe product. With this letter I appeal to you to support the recommendation of the Canadian Medical Association, the Canadian Cancer Society, the Canadian Public Health Association and all of Canada’s leading medical associations that the use and export of all forms of asbestos including white asbestos must stop. I will be happy to share the notice of the NHRC, India to facilitate your decision.